Jeremy Corbyn’s dangerous fantasies: British Labour Party’s new leader doesn’t like democratic politics. The new leader of Britain’s Labour Party doesn’t much care for democratic politics. 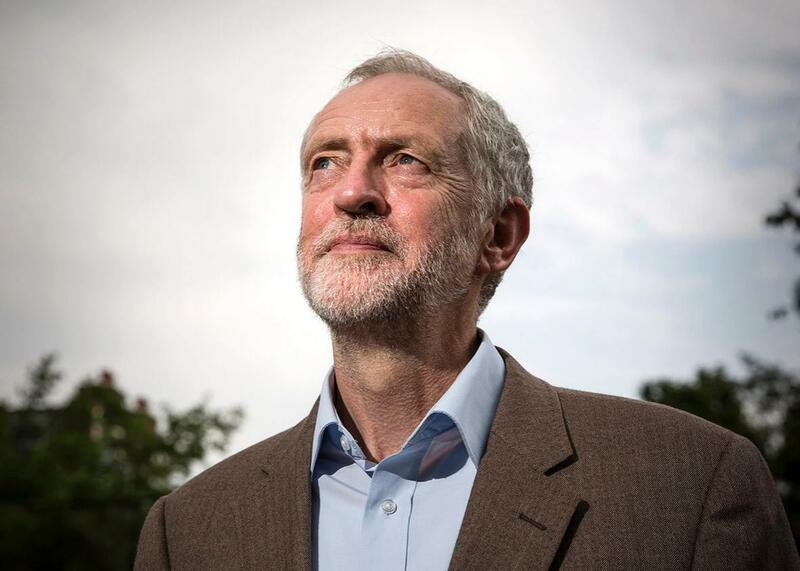 Jeremy Corbyn poses for a portrait on July 16, 2015 in London. The nostalgia, the wistfulness, the longing for an era when politics were “fun,” the look backward to a mythical time when “ideas mattered”—all of these motivated my dinner companion to support the election of Corbyn. So did his wish for a different sort of world, one in which we didn’t need NATO, nuclear weapons, or even a military. “Wouldn’t it be wonderful,” Corbyn asked a few years ago, if “every politician around the world … took pride in the fact they don’t have an army.” So did his wish for a different kind of global economy, one in which financial markets didn’t punish profligate borrowers, money can be printed, and resources are infinite. These kinds of fantasies are hardly new: Many people over many centuries have wanted the world to be different from what it is, and some have even forcibly tried to change it. Nor are they uncommon. Some very similar fantasies gripped Greece this year after Greek voters threw their support behind a political party, Syriza, that promised, in effect, to give them more money. This proved impossible: The Greek state didn’t have more money. Nor did anybody outside of Greece want to lend it to them. Syriza was forced to capitulate and wound up promising to try to spend even less money instead. Corbyn and his allies say they don’t like “politics as usual”; but in fact, what they really don’t like is democratic politics, with its compromises and its negotiations, its tedious decision-making process, its inevitable drift toward centrism, and, of course, the annoying voters, journalists, opposition politicians, and others who ask difficult questions. Nor do they like democratic politicians, in Britain, the United States, or anywhere else, preferring the company of Venezuelan populists or radicals funded by Iran. In Parliament for more than 30 years, Corbyn has voted against his own party hundreds of times. While colleagues were grappling with real decisions and hard questions, coping with bureaucracy and negotiating with allies, he stayed on the sidelines, preferring to remain ideologically pure. This week, he refused to sing the national anthem. Despite Blair’s fear that the choice of Corbyn has just made his Labour Party unelectable, this kind of “principled” politics may indeed have some electoral appeal, for the same reason that ideological purity has always had appeal. Indeed, ideological purity has at times had mass appeal—even when dangerous, irrational, and doomed to failure. Invariably it’s more “fun,” as my acquaintance put it, than dull number-crunching, or arguments about what the state can afford to spend, or planning to protect one’s country from terrorist attacks. For that reason alone, it’s important to contemplate this reality: Corbyn could be the next British prime minister. But even if that catastrophe doesn’t unfold, the selection of Corbyn as leader of her majesty’s opposition means all bets are off. Anything can happen, and everything can change, when politicians are truly determined to make their fantasies come true.